Home/Uncategorized/Lasting Power of Attorney….Why should I make one? Most people are aware of the benefits of drawing up a Will and ensuring that the assets that you have are distributed to the correct beneficiaries upon your death. However far fewer people are aware of the importance of a Lasting Power of Attorney. A Lasting Power of Attorney enables someone to look after the affairs of adults where they lack capacity or simply cannot manage their own affairs for some other reason. By making a Lasting Power of Attorney, you are making preparations for the ones that you trust for a time when they may need to assist you. There are two distinct types of Lasting Power of Attorney’s but both are equally as important as each other. A Property and Financial Lasting Power of Attorney is designed to allow your attorneys to make decisions affecting your finances and property including the buying and selling of property, dealing with your banks and building societies, paying your bills and claiming pensions and other benefits that you may be entitled to. With the introduction of telephone and internet banking and the complexities of modern life it has become more important to consider making a Property and Financial Lasting Power of Attorney. 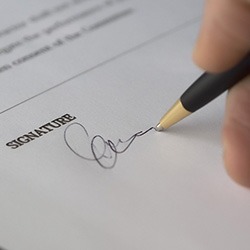 Attorneys appointed under a Health and Welfare Power of Attorney are authorised to make very important decisions on behalf of the person making the Power at a crucial point in their lives. The decisions can vary from organising care in your own home, your living accommodation and perhaps most importantly consenting to or refusing medical treatment including whether to consent or refuse life sustaining treatment. The only way to be sure that the people authorised to make these decisions are the ones that you love and trust is by making a Health and Welfare Lasting Power of Attorney. It is important to note that a Lasting Power of Attorney has to be made when the person giving the Power has the relevant mental capacity to do so. It is therefore very important to plan ahead and ensure that you have a valid Lasting Power of Attorney in place before it is too late. Prior to either type of Lasting Power of Attorney being used they have to be registered with the Office of the Public Guardian. The documents can be registered whilst you still have capacity or can be delayed until you are no longer able to manage your own affairs. The downside to delaying is that once the Attorney’s feel that you can no longer manage your own affairs and therefore registration is required, a notice period has to expire prior to the Power being effected. This can obviously cause issues and additional anxiety at a time when your Attorneys could probably do without it. If you decide to make a Lasting Power of Attorney either for Property and Financial or for Health and Welfare, you are still in control of your own affairs unless you lose the relevant mental capacity to do so. If you are considering making a Lasting Power of Attorney or have already made but have not yet registered it and are now considering registration please contact HSRLAW on 01427 872206 for further information and guidance.